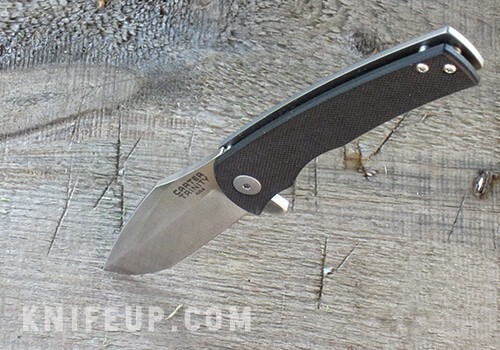 The Carter Trinity folding knife from the Ontario Knife Company, stands as one of the best every day carry knives most people could ever want. Let me tell you why? When compared to the quality and construction of the BBM, this knife falls short. However, for the price, it is an amazing deal. Any knife with a Titanium handle is typically much more expensive, and of course this one minimizes the use of Titanium by making only half the blade with the metal, AND making the handle profile minimalistic in design and size. The other half of the handle is G10, and for those of you who aren’t sure what that is, it’s a pressure treated fiberglass material much like carbon fiber. The smoothness of the flip (and yes, it is very smooth) is due in large part to the Teflon washers inside. It nearly has the feel of a ball bearing mechanism, but the washers keep the price way down. The blade is attached very securely with no side to side play even after being used to lightly pry. The clip is surprisingly effective given that it is very thin. It’s made of Titanium and located on the Titanium side of the handle. 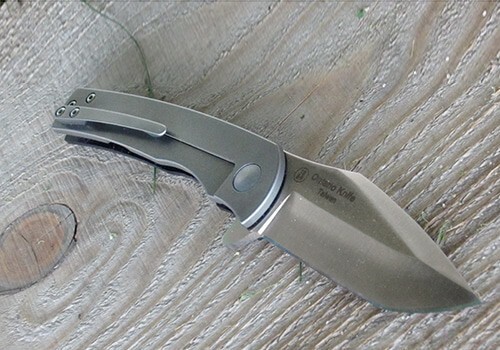 It holds very tightly, and because of the small, lightweight, minimal design of the knife, it holds the closed knife very securely leaving no uncertainty about whether or not you’ll lose the knife if you fall down, tumble or remove your pants. One final note of full disclosure; While the vast majority of OKC knives are made at their Franklinville, NY facility, this model is made in a quality controlled facility in Taiwan. That’s not a big deal for me and apparently not such a big deal to OKC since they offer a pretty decent warranty on it (though not as good as their own products made in the USA). The hardness of the AUS-8 steel falls somewhere in the 57-59 HRC which is fairly hard. 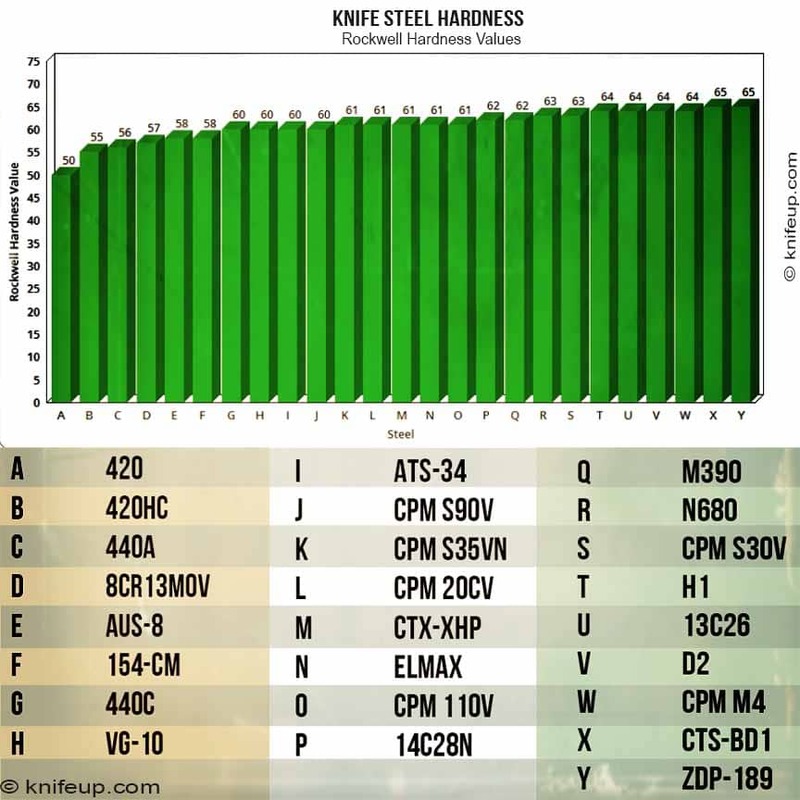 The Rockwell Hardness scale measures hardness quality of various metals, and just for reference, an ax head is somewhere around 50, while a hard carbon steel is in the low to mid 60s. So the Trinity has an average hardness which is great considering it’s AUS-8. By the way, in case you were not aware, AUS-8 (though it is a single type of metal) can vary in hardness based on specific variables in the process of construction. 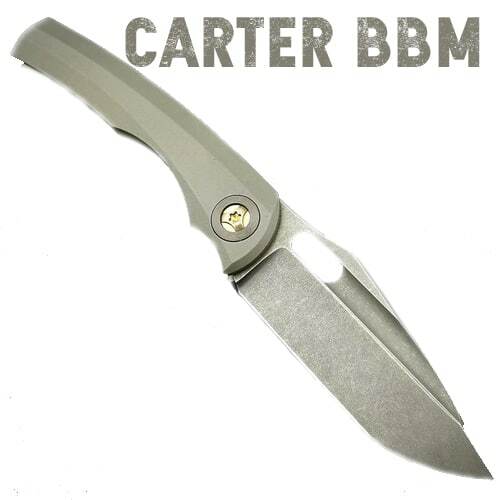 Also, pertaining to the blade, here’s my favorite quality; The blade looks NEARLY identical to the BBM version which is around TWELVE times more expensive! Sure, the BBM is way better quality, but I’m talking about a very good quality blade and handle for everyday use. This is one of the best for the money that’s for sure. I also really like the flipper opening mechanism. It just feels nice to open and I find myself flipping it open for no reason at all. I would never do that with a regular old school jackknife where I need to cram my thumbnail into the groove on the blade to open it. The Trinity falls somewhere around a 58 HRC on the Rockwell scale. Though not considered a high-end, expensive high-carbon steel, it’s quite respectable for an easy to sharpen and rust-resistant blade. The design of the knife has only one minor flaw (in my opinion) and that is that the choil area is small and does not provide any significant comfort to my index finger while using the knife. However, I do not expect my hand to be bathed in luxury and “dreamy comfort” as I hack at a piece of wood or cut a twine rope during a project. The minimal design of the handle (in both area and thickness) make this knife about as minimal as you can expect for a useful EDC. It takes up almost no real estate in my pocket and the Carter Trinity is the ONLY knife I own that, when clipped to my jean pocket, actually does not make its presence known at all! I actually forget that I’m wearing it! It does not have any gimping, but that means nothing to me personally. 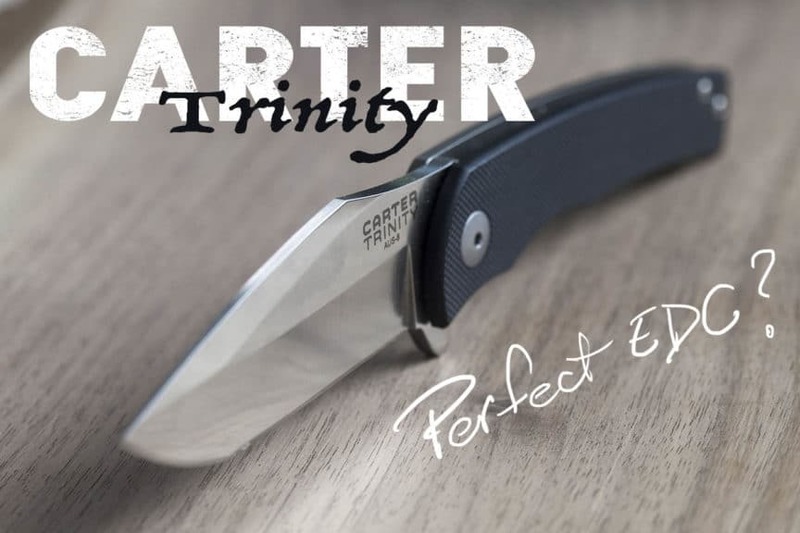 I really like the design of the Carter Trinity because of its minimal feel, but it retains a hefty, aggressive-looking blade that “mans it up”. The design looks (I emphasize “looks”) a whole lot like the elite, collector Carter BBM model, but it’s meant to be used daily and has a price point accessible to nearly everyone. For what it’s worth, the Carter Trinity is my exclusive EDC, and I wear it every day (I really do) to the exclusion of all other excellent models and brands I own. If you’ like to read more info on the knife and see what it’ll cost you, go HERE!